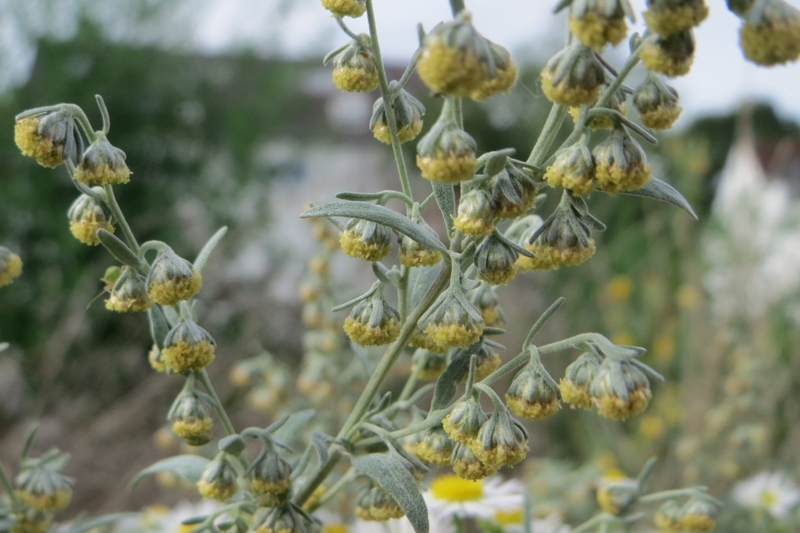 Absinthe (Artemisia absinthium): growing, planting, caring. 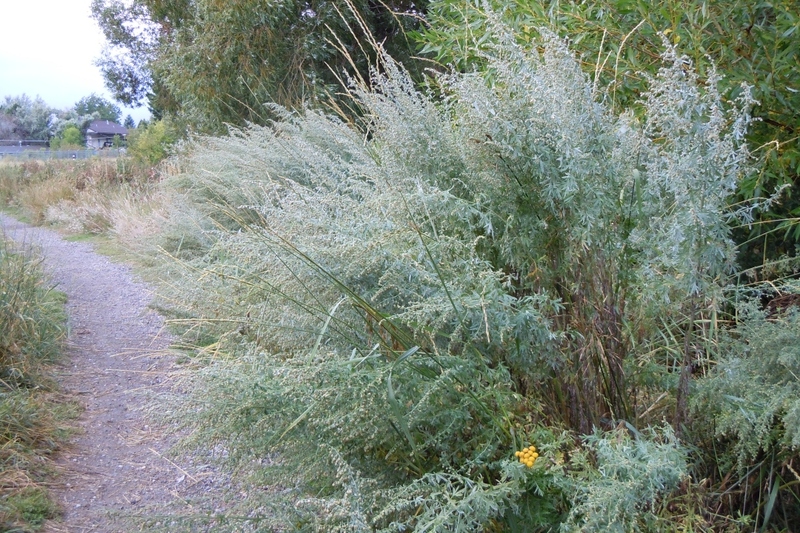 An upright deciduous perennial, with finely divided, highly aromatic grey-green foliage and rather insignificant yellowish flowers in late summer. Absinthe - also known as grand wormwood - is a species of Artemisia native to Eurasia and Northern Africa and widely naturalized in most temperate climates. It is grown as an ornamental plant and is used as an ingredient in the spirit absinthe as well as some other alcoholic beverages. Absinthe is a hardy, aromatic perennial that ranges from 0.4 to over 1.2 meters. 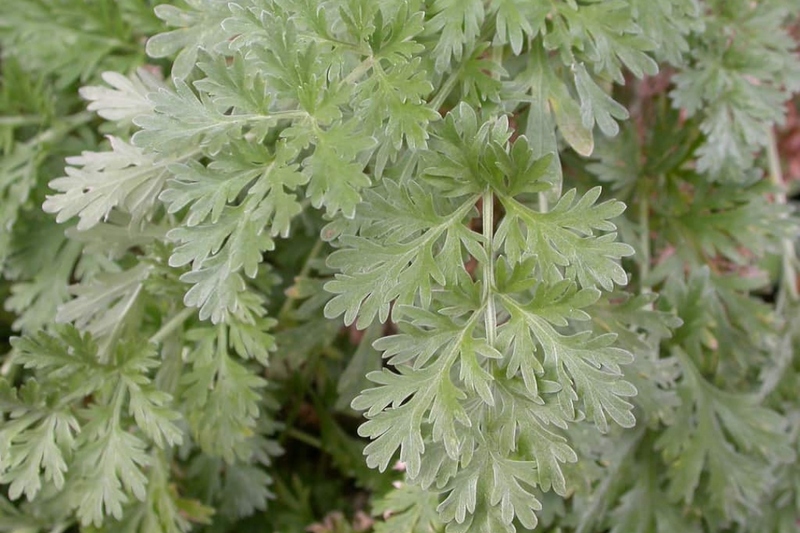 Its cutted leaves wear a nice glaucous green with gray-silver on the backside, covered with silky hairs. 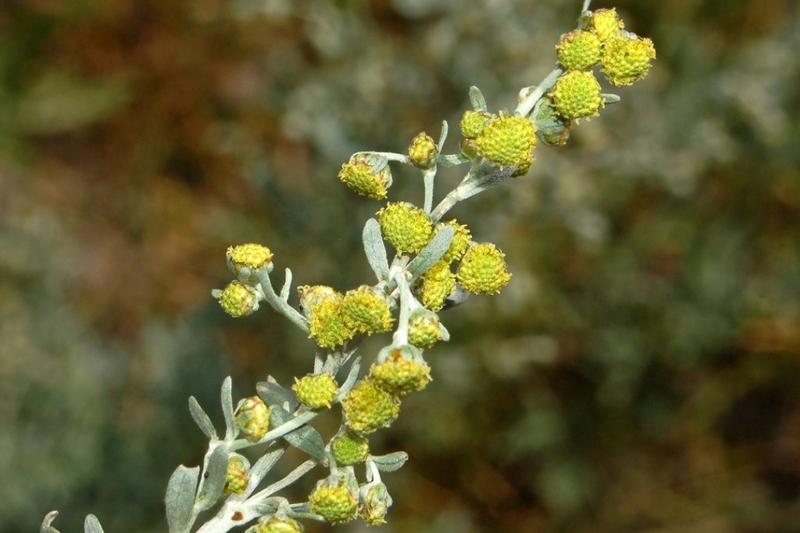 From the sagebrush family, it is distinguished by its very strong smell revealed when one rubs its leaves. Its small yellow flowers appear in the heart of summer, in small balls gathered in capitula. The fruits are achenes. Sow it under cover in March-April in a sunny situation. As the seeds are very small, barely cover them and keep the soil moist until they have emerged within 20 to 30 days. You can repot your plants when they have 4 to 5 leaves in one or two liter pots. At the end of summer, your absinthe will be able to reach its final location, in fertile and well-drained soil. It will love the direct sun, or the semi shade. Remember: its "thujone" content inhibits the growth of other plants; it repels some unwanted predators such as snails, flea beetle and cabbage worm and it attracts all black aphids to it ... Do not plant too close to other plants, one meter is recommended ! Water seedlings and saplings in fine mist, maintaining the soil always moist. After a few weeks, you will only need to water in case of drought. Absinthe is a plant that requires little care, but at the end of the winter you can help it to expand: cut it down, it will grow in the spring! You can multiply absinthe by sowing or by dividing it. The seeds are harvested at the end of the summer and the division can be done in the fall and spring. In all cases the absinthe has a fairly dynamic recovery! In winter, to help your absinthe withstand extreme cold, protect it with a thick layer of dead leaves in November.